This project consists of multiple aspects. The first user aspect is the website, which works pretty well. http://www.j-a-m.net/MP/. The next few are what I have been using to access/maintian the system. This next one is the management application. 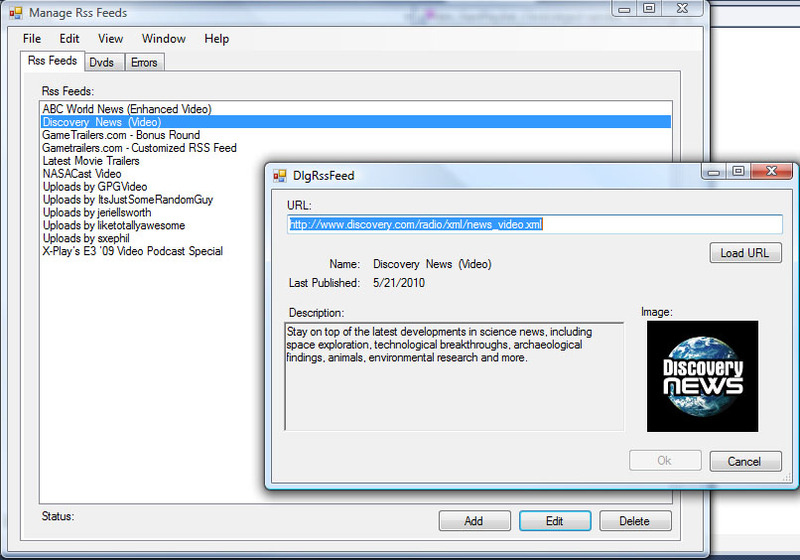 It allows for the update of new dvds and the adding of new RSS feeds. Also, it shows errors that have occurred in the system. This last one is a list of background processing apps for the system. These are a bit old and I only use the website for playback now. The first player is the video content player. It loads and plays the next new piece of content. It allows the user to make the video as watched, delete, favorite, and bad. This next one is for dvd playback. It shows the dvd collection and auto mounts and plays the dvd.